One of the many criticisms, totally unfounded I think, about Suicide Squad is that it was an attempt to replicate the success of Guardians of the Galaxy. Two teams, both a little offbeat, not exactly what one would call heroes...of course they're the same! Whatever you thought of Suicide Squad, it went on to be Warner Bros.' most successful movie. Seriously, it's outsold 'Batman v Superman', Deadpool, and even Marvel's Captain America: Civil War in home release sales. 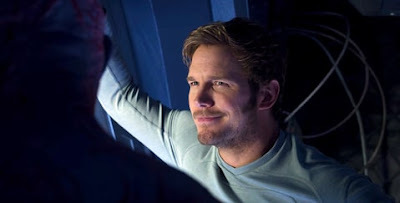 That's a pretty safe, reasonable critique from Pratt, who always comes off like the nicest guy in any room. If things had worked out differently he might be playing a member of the Suicide Squad or some other DC hero. You never know, he still might someday.